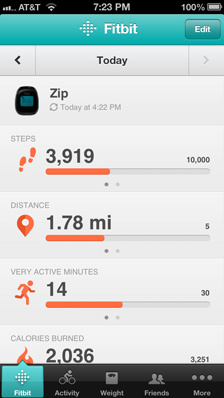 The data that can be tracked in the Website isn’t limited to the FitBit Zip data. 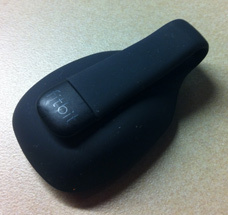 One can also keep track of water intake, food, weight, activities, and information from some other FitBit devices. 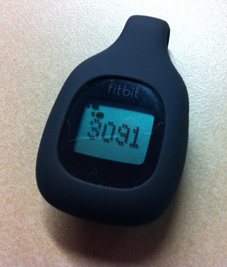 My wife does manually enter some data though I typically only track the data gathered by FitBit devices. 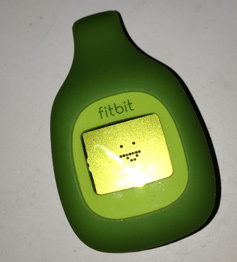 I really like the FitBit Zip and I think $50 is a good a price-point considering the features it offers. However, there is one major, very common drawback to this device though it’s a user problem and not a failure of the device itself. These things can be easy to lose. If you read various reviews for the FitBit Zip you’ll encounter many who lost their devices or sent them through the washing machine one too many times. I ordered the green one this time in the hope that it would stand out more if I misplace it, though based on another review I’m not the first to have this thought (and despite the different color the reviewer still lost that one). It’s sort of possible to track one down using the app or a computer but there’s one major caveat. In order for this to work the FitBit Zip must be awake. This requires the device to pickup some movement so if you’re going to have any chance of tracking one down you may need to shake stuff (I can’t tell you how many times I shook the couch or pounded the car seat to see if I could make it sync before giving up). 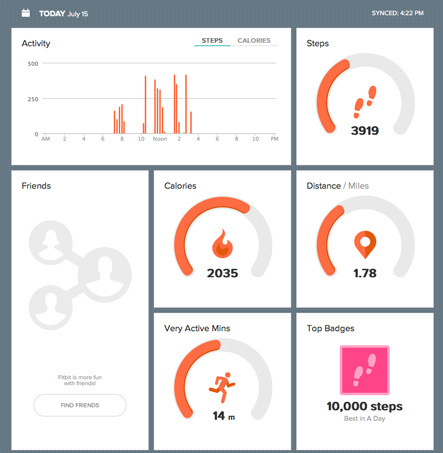 An account on the FitBit site doesn’t cost anything but they do offer a Premium package that provides more information and reporting for $50/year. I haven’t tried the pay version of the service so I don’t know if it’s worth the cost though I’ve been happy with the free data tracking that’s already available. I started out using the USB receiver/software with Mac OS X 10.8 (Mountain Lion) though now that I have an iPhone 5 it’s more convenient to simply sync the FitBit Zip using the phone. Updated 10/28/2013: I haven’t lost the green Zip yet, but the rubber clip case fell apart so now I’m just carrying it around in my pocket. Honestly, I’m probably less likely to lose this one or send it through the washer. I always empty my pockets later in the day but I can’t tell you how many times I had to remember to go back and un-clip the Zip from my pants after I tossed them into my clothes hamper. Updated 02/22/2014: Last week the green Zip went through the wash. I didn’t realize it until I was moving clothes to the dryer. It was completely dead so I removed the battery and dropped it into a Zip-Lock bag with a couple of desiccant bags with the battery cover removed. After a day or two I checked the device with a new battery. The display worked but it showed errors and odd data so I removed the new battery. This time I ripped open the desiccant bags, mixed the Zip within the desiccant beads, and left it closed for several days. The next time I checked on the Zip I discovered that it worked properly. After a day of carrying it around I verified that it was indeed working and able to sync via Bluetooth. My Zip appears to have survived a trip through the washer after being properly dried out. I still don’t know what happened to the first Zip.